There's lots of public parking within a few minutes' walk of the apartment. The nearest street parking is on Boulevard Henri Arlet which is only a 2-3 minutes on foot along Rue Fénelon. Parking here is free November-March and chargeable April-October between 0900-1900 then free from 1900-0900 and all day on Sundays and public holidays. 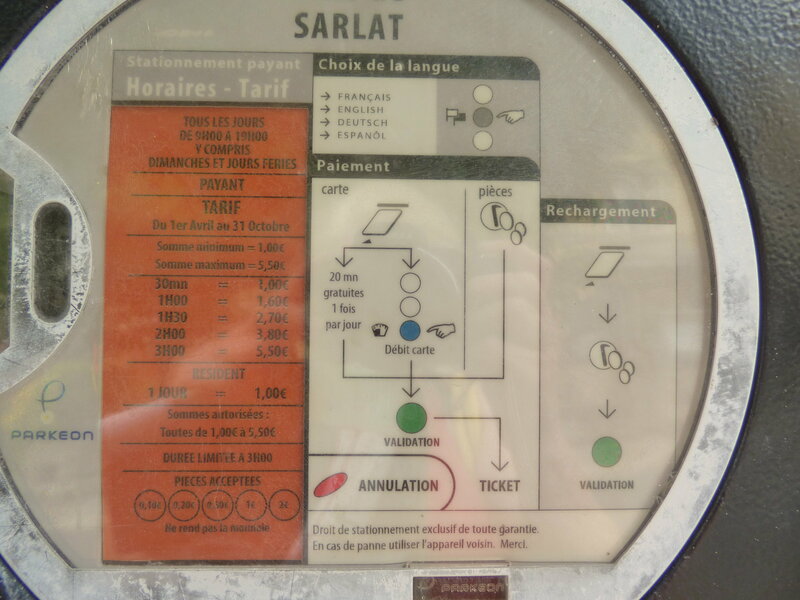 The nearest free public car park (all year) is at Place des Cordeliers which is a 6-8 minutes walk. Below is a map showing both of these in relation to the apartment. There is lots of parking available around the town, these are just the nearest. 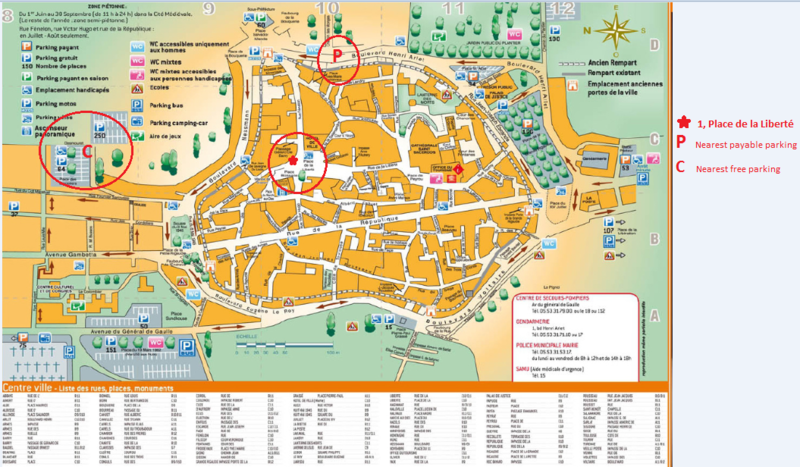 A downloadable version of the city map is available on the Sarlat Tourist Office website. Click on the map on the right hand side of this page to view the location of La Liberté Studio on googlemaps.